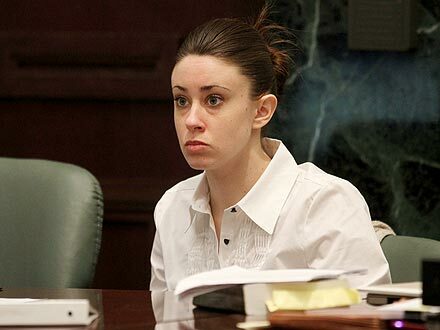 Where Is Casey Anthony Today? With Jose Baez? We all know Casey Anthony was released from prison at midnight today. Now the question is – Where is Casey Anthony? Over 1000 people gathered to watch her walk out of the Orange County Jail yesterday with her attorney Jose Baez. With media outlets, photographers and helicopters following her caravan of several SUV’s it still seems like no one really knows where Casey went. Baez did a great job of setting up decoys to avoid being followed… seemingly like he did a great job of getting her off as a murderer. Could Casey be in Ohio? TMZ reports that Casey could be in Ohio. There was a private jet leaving the airport at 1am last night that had a female with long dark hair running to get on the plane. It is not confirmed that the female was Casey but it is a possibility. TMZ also spoke with the Columbus Ohio Police Department who said they have a program in place where off duty officers are available to protect people, for a price of course. And that they would be more than willing to protect Casey Anthony if she hires them. Casey Anthony was born in Ohio and still has family there. Could Casey be at Cheney Mason’s Home? Other reports say that one of the vehicles from Casey’s caravan went straight to Cheney Mason’s office and disappeared in his underground parking lot. If Anthony was in this vehicle then she could still be in Florida at Cheney Mason’s home. Could Casey be dating Jose Baez? 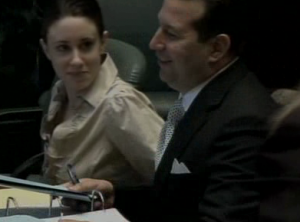 There is interesting speculation on the web that Casey Anthony may be dating Jose Baez. Although there have not been any confirmed reports of this, it would not come as a surprise given the flirtatious nature of Casey Anthony toward Jose Baez during the trial. And given how many violations Baez was hit with by Judge Perry, Baez may not have the best moral compass. To summarize, we are not sure where Casey is at the moment but with all eyes on her I’m sure we will find out soon. And we will update you as soon as we do. Where do you think Casey is? 3 Comments on Where Is Casey Anthony Today? With Jose Baez? Casey is not dating Baez. He’s got a two year old daughter. Think about it. He’s not going to jeopardize that. Second, she’s not at Mason’s home. He lives in a gated community. People in gated communities choose gated communities for a reason. Typically, gated community equals well to do people. They pay for a certain lifestyle, which she doesn’t fit in. Mason may feel sorry for Casey, but the backlash from the neighbors would prohibit him from doing that. My guess is she’s outside of Columbus Ohio area. What a controversy this whole case created… unbelievable!